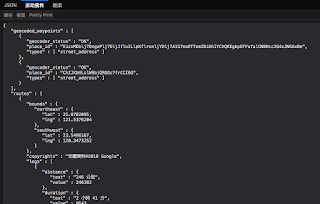 在舊的環境當中，抓一個 Byte當一個字元，聽起來很直覺。但Single Byte 的 Delphi 搭配 UTF-8 的檔案編碼，這樣的讀取在中英文夾雜的資料就會出大問題，因為中文字在 UTF-8 檔案可能是兩個 Bytes, 也可能是 3 Bytes, 抓固定長度？鐵死的! Delphi has existed for about 23-24 years, in early version (Delphi 1-Delphi 7), Win32 is the only target Delphi shoots for. In year 2000-2003, Microsoft take .Net and C# as next star, Delphi also tried to get ahead, but failed in Delphi 8. And in the next 10 years, Delphi 2005, 2006, 2007, CodeGear was spinned off from Borland, they tried to shoot for software lifetime management, so we had starteam boundled in these versions. However, Windows didn’t get real improvement in those years, the only milestones we can see, could be multi-user, 64bit support, and UAC (User Access Control). And Delphi keep silent for years. Delphi 2009 is a keystone for next couple versions, we have native Unicode support (RTL & components), Generic support, new TTask supports multi-core execution. These new features are great, and makes applications get remarkable performance improvement. And Delphi XE series help programmers crossing to iOS, MacOSX, Android, and 64bit Linux server in “one code base”, with different compile configures, that’s awesome. It’s a pity that the wonderful features are seldom used, it might because the sample codes are not enough in quantity or quality. So, let’s have a simple code sample to show you how to use “Generic” with Delphi. Gernic? Template? What The Hell? C++ defines multiple inheritance, Template, and several important concepts, it’s very powerful, and too powerful to implement in common codes. Delphi takes object pascal as core language, and object pascal evolved for several times in paste decades with Delphi. Object pascal is single root concept, which means all classes in object pascal inherited from the same root class named “TObject”, no exceptions. If we wish make a class with 2 classes, we need to implement the features with “interface”, and with well-defined interfaces, multiple features of specific classes can be adopted, or we can say to be implemented. Inheritance and interface are another long story, I will write another article to introduce. What we say “Generic” or “Template”, is to replace specific type name with the keyword “<T>“ in the codes, with this modification, we can reduce the effort to adopt the class for other types. If you do understand the above sentence, congratulations! You must be an experienced programmer, and you don’t need help from this article. So, let’s speak English, with some sample codes, you might be understand the concept faster. Well, Stack, first in last out, or last in first out, so I need an array to store elements. I have to define a push method to put data in. I have to define a pop method to get data out. FElements: array[0..5] of Integer; // Array for storing integer. // position of the pushed element. function pop: integer; // return last element, and remove it. I skip the implementation codes, because there are more students searching the codes for their homework in recent years. A stack class named "TMyStack" is declared in the above codes, but there are still a lot of problems in the above codes. For example, the above class can store only 6 integers, the number of element is limited, and as I mentioned, TMyStack is a "stack for integer", so the argument of push method must be "integer", and return type of pop method must be integer, too. Let's resolve the limitation of element count first. 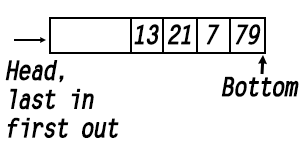 The second argument "20", is the length we wish to make the array to be. FElements: array of Integer; // The array for storing elements. setLength(FElements, 0); // initialization, set the element array as empty. setLength(FElements, self.FElementCount); // Increasing the count of array by 1. Result := self.FElements[self.FElementCount -1]; // Returning the last element. setLength(FElements, self.FElementCount); // Removing the last element of array. With the modification, the stack class was set free from limitation of count. But, will we need a stack for integer only? Will we need a stack for string tomorrow? or will we need a stack for customized record or class? If every time when we need a stack for particular type, we need to copy & paste the above codes, and then modify the all the "type" field, it will kill me, am I right? What if customers require some "outstanding" features for particular types, we will need to modify all the stack classes one by one....... That will drive me crazy in second. So, is there someway, we can make a stack for all type? Dr. Alfred Lanning: *That*, Detective, is the right question. -- quoted from "I, robot". For using the features of generic provided by Delphi, we need to use the "System.Generics.Collections" unit, there are so many types, functions ready for use. First, let's modify the previous declaration, replace "array of integer" with "TArray<T>", hence, we can save any type of data in TMyStack class. FElements: TArray<T>; // New array type with element of all types. function pop: T; // return last element, and remove it. Oh my Goodness, that's all? Is that simple? And then? How can I use the class? // I split the string into many pieces. With the above codes, the class implementation is not changed. What we do is to declare, create the instance of TMyStack<T>, then the class can be adopted with different data types, it's convenient, right? There is a class named TList<T> in System.Generics.Collections. We have to create TObjectList to store any object derived from TObject, and we have to add additional codes to mapping different object instance. With TList<T>, we can save the extended codes, works. 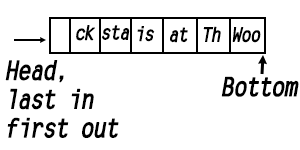 In System.Generics.Collections, there are even TStack<T>, TQueue<T>, are you very interested in that unit now? 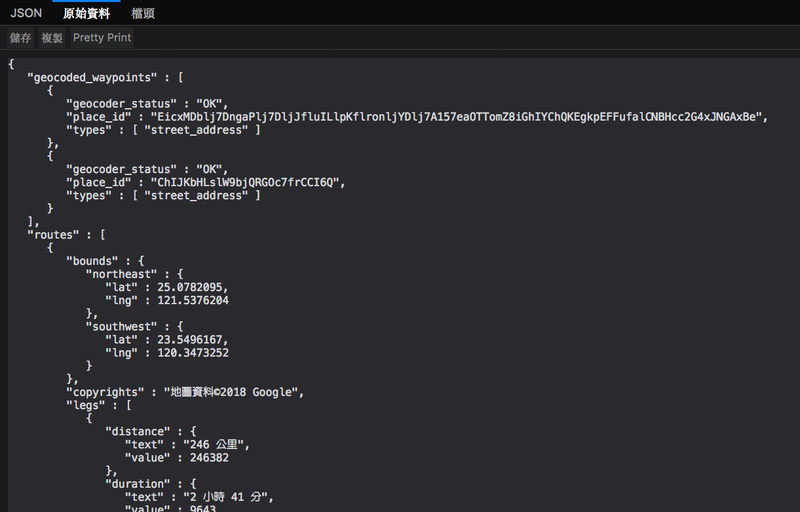 FElements: array[0..5] of Integer; // 用來存放元素的陣列. 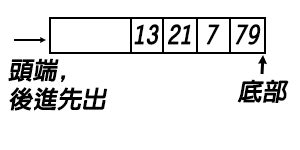 function push(element: integer) : integer; // 可以傳回 push進去的元素放在什麼位置. function pop: integer; // 直接傳回最後一個元素. FElements: array of Integer; // 用來存放元素的陣列. Result := self.FElements[self.FElementCount -1]; // 把最後一個元素回傳. 但是，我們只需要整數堆疊嗎? 會不會明天要一個字串堆疊? 後天會不會要一個自定 record 或者 class 的堆疊? 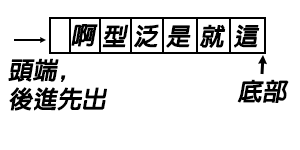 function push(element: T) : integer; // 可以傳回 push進去的元素放在什麼位置. function pop: T; // 直接傳回最後一個元素. 這樣一來，程式碼都沒有變，我們只在使用 TMyStack<T> 這個 Class 的時候，在宣告、建立Class的時候指明要使用什麼型別，就能夠自由的把一份程式碼用在各種不同型別上了，是不是很方便? Delphi 手機 APP 程式開發, 不知 Delphi 是否有比其他手機 APP 專用的開發工具有優勢 ..
2014年起，Google推出了 Android Studio，把很多之前難搞的SDK都整合在一個安裝檔裡面了，很好用，但跟之前用 Eclipse 的專案又有不同。前面我提到過，人習慣了某些東西以後就很難改變，所以目前 Android 的開發陣營裡，原生工具仍舊分為兩個不同的派別：Eclipse 跟 Android Studio. 在 Delphi 中使用 TMapView 顯示路徑、使用Google Map API進行兩點或多點之間的導航.